GBIF data uncertainty now visualized! As stressed by Chiles and Delfiner (1999), once a predictive map is drawn, people tend to accept it at face value. However, thus far, species distribution estimates based on field data sampling do not represent reality in a deterministic sense and are only estimates of potential presence. 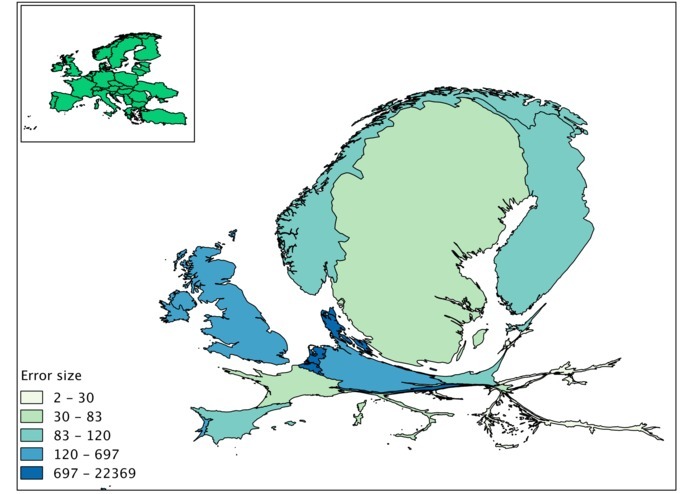 Therefore, the use of ‘maps of ignorance’ (Boggs, 1949) representing the bias or the uncertainty deriving from species distribution modeling, along with predictive maps, is strongly encouraged (Rocchini et al., 2011). Uncertainty can derive from a number of input data sources, such as the definition or identification of a certain species, as well as location-based errors. The spatial distribution of uncertainty should explicitly be shown on maps to avoid ignoring overall accuracy or model errors. Quoting Swanson et al. 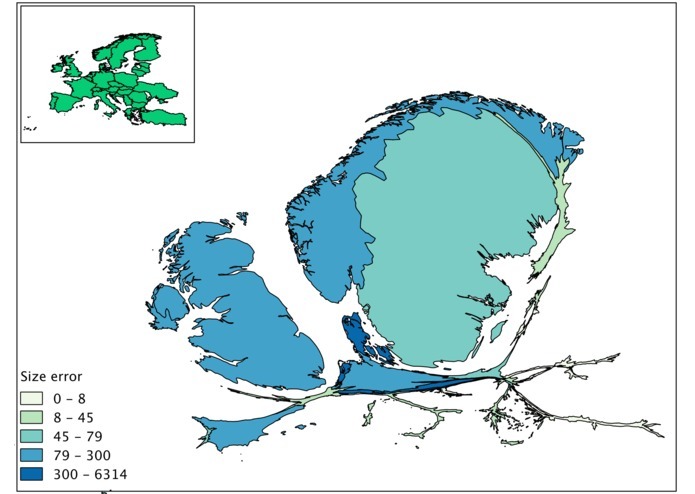 (2013), ‘including such estimates alongside mean projections gives a map of ignorance as called for by Rocchini et al. (2011), highlighting areas where knowledge is lacking and could be improved with additional sampling effort or the inclusion of additional covariates’. 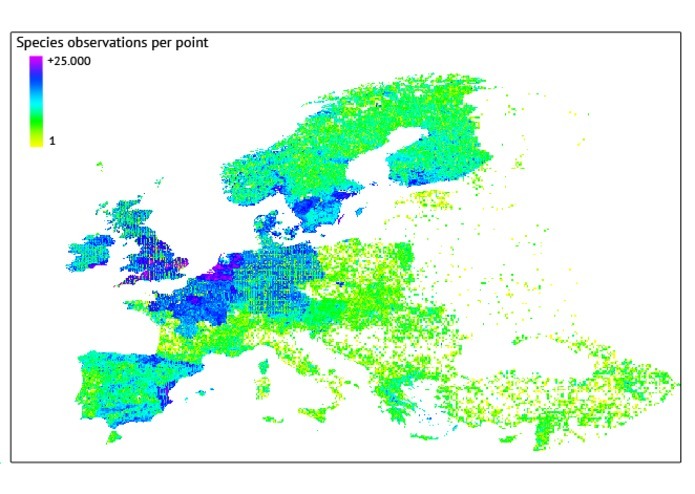 GBIF data are far to be free from spatial bias. 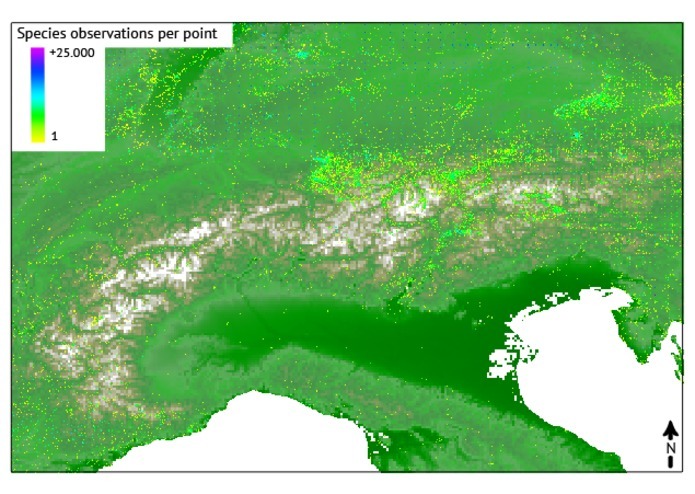 In this study we proposed methods for explicitly mapping uncertainty in the distribution of species based on a Free and Open Source Software. 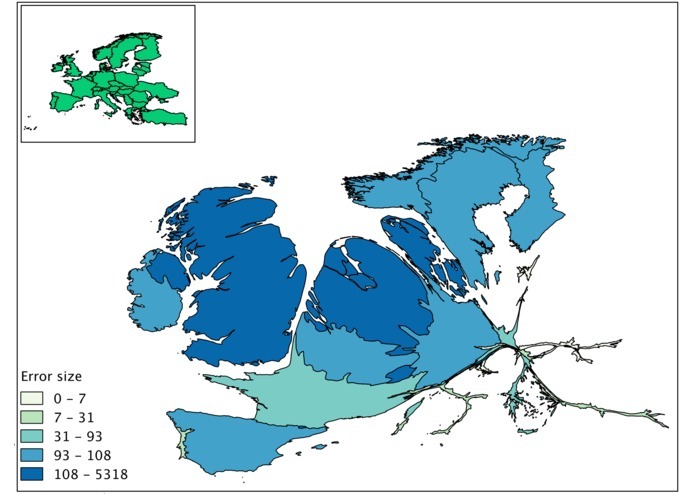 One of the methods proposed is the use of cartograms. Cartograms facilitate the visualization of spatial uncertainty by changing the size of the polygons based on the amount of uncertainty. Boggs SW (1949) An atlas of ignorance: a needed stimulus to honest thinking and hard work. Proceedings of the American Philosophical Society 93: 253–258. Chiles D and Delfiner P (1999) Geostatistics Modeling Spatial Uncertainty. New York, NYH: Wiley. Rocchini D, Hortal J, Lengyel S, et al. 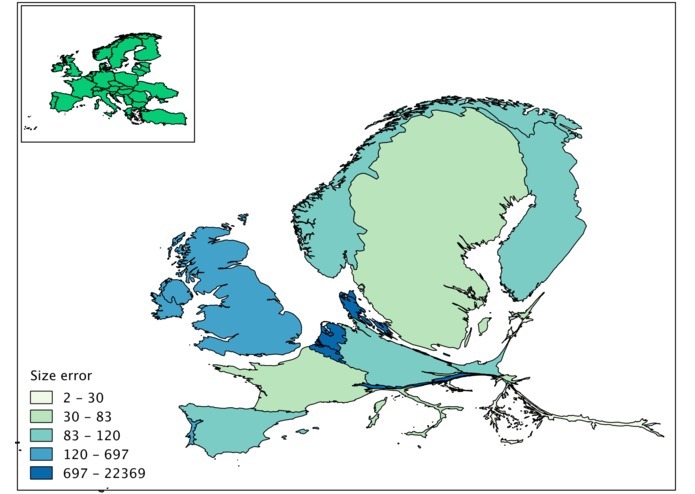 (2011) Accounting for uncertainty when mapping species distributions: the need for maps of ignorance. Progress in Physical Geography 35: 211–226. Swanson AK, Dobrowski SZ, Finley AO, et al. 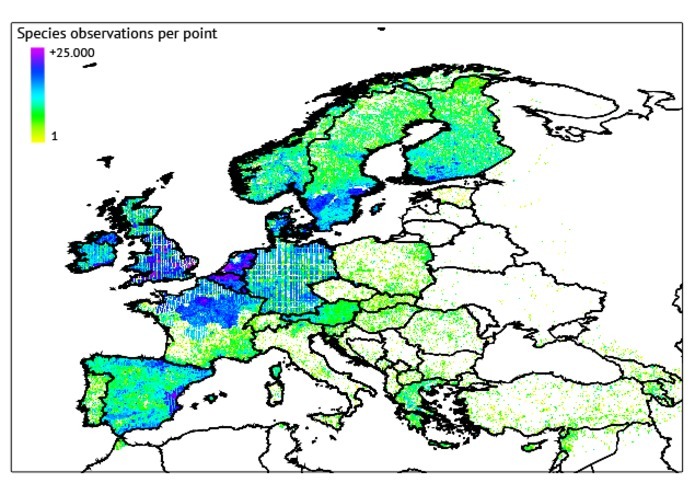 (2012) Spatial regression methods capture prediction uncertainty in species distribution model projections through time. Global Ecology and Biogeography 22: 242–251. Carol and Duccio really deserve the credit. I merely provided encouragement.